Rob Collins Is TV's New It Man From sci-fi to drama to rom-com, Rob Collins is your guy. It’s a little intimidating picking up the phone to talk to Rob Collins, the breakout star of Australian television in 2017. Right before our interview, I powered through an episode of the ABC’s twisted sci-fi series Glitch. Collins has joined the cast in season two as Phil, an enigmatic new villain and antagonist to the Risen (people who have inexplicably returned from the dead) in Glitch‘s fictional Victorian town Yoorana. As Phil, Collins is… there’s only one word for it. Yikes. But when Collins answers the phone, he is softly spoken, thoughtful — nothing like the slightly terrifying men he seems to play exclusively for the ABC these days. “I know. I think I’m going to get typecast soon,” Collins jokes when I mention how many shady dudes he seems to be inhabiting. Privately I think Collins isn’t in any danger of being typecast because, even as a relative late starter in the acting game, he has already displayed a huge amount of range. Beginning his career on stage, as the imperious Mufasa in the recent Australian revival of The Lion King, Collins has a flair for the dramatics and an incredible physical vitality. And, though he began his formal acting training at NIDA at the relatively advanced age of 31, it didn’t take long for the powers that be in film and television to take notice. Now Collins is the new It Man for complex Aussie TV roles. 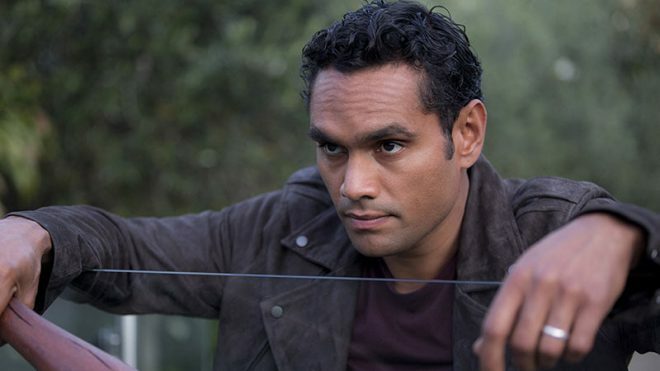 Just this year, Collins has starred as the smooth anti-hero Waruu in ABC’s Indigenous superhero hit Cleverman, as nice-guy hottie Jack in Channel Ten’s rom-com romp The Wrong Girl, and he’s made an explosive addition to the cast for Glitch‘s highly anticipated second season, which begins this week. In truth, he’s everywhere; and if his Logie win last year (Best New Talent) indicates anything, this is just the beginning for Collins. But, though his career is skyrocketing, Collins still appears to be a gentle small-town boy. 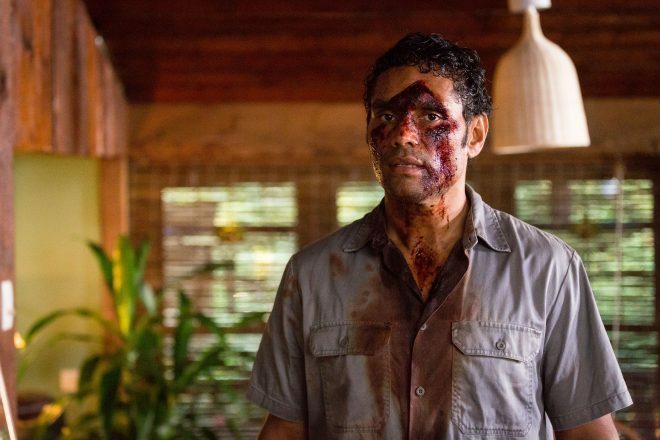 Born and raised in Darwin (and descended from the Tiwi Islands, just north of mainland Northern Territory), Collins takes every opportunity he can amid his busy filming schedule to head home, where his wife, Laetitia Lemke, and their three kids still live. 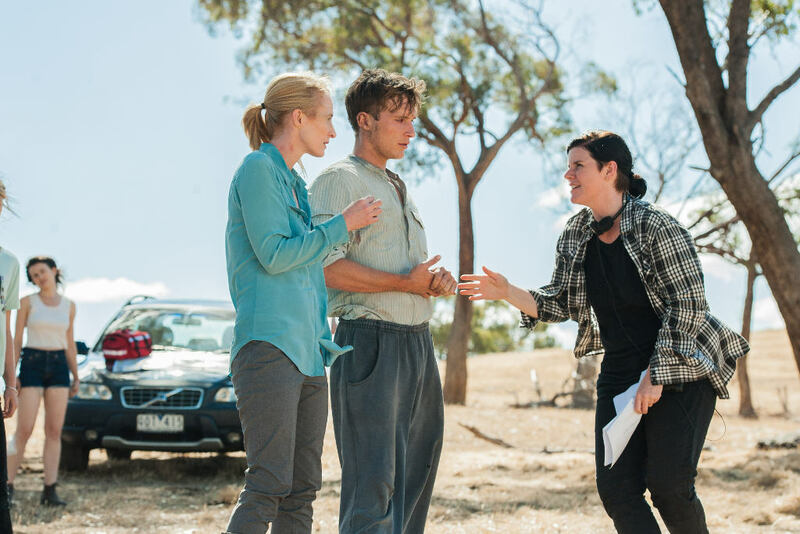 Collins has just joined the season two cast of ABC’s sleeper hit Glitch, the sci-fi/body horror/magical thinking drama about several residents of a fictional Victorian town, Yoorana, who have inexplicably risen from the dead. The first season of Glitch premiered in 2015, when ABC (perhaps ill-advisedly) beta-tested the series for a ruthlessly short period on iView. Back then few people felt the impetus to seek the show out during its initial run. 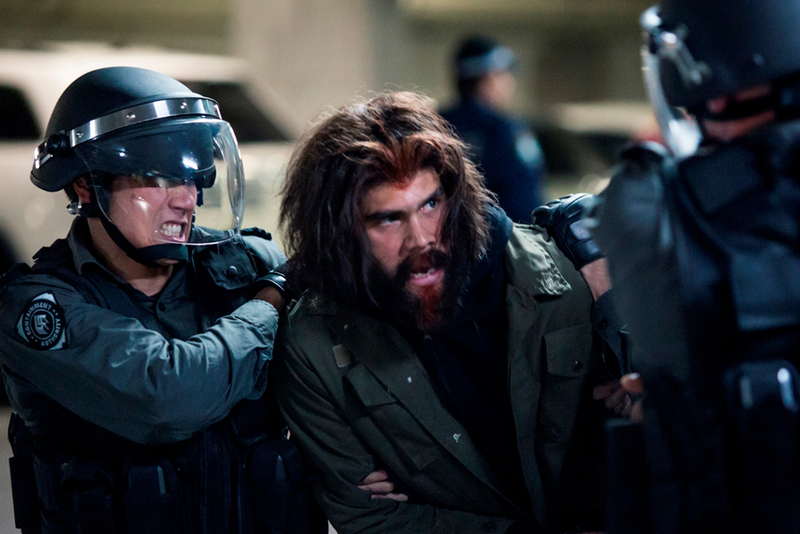 However, when ABC sold the series to Netflix — where it joined a number of other Australian shows enjoying a second life on the streaming service — Glitch rapidly picked up a following. Now, as Aunty prepares to premiere season two on ABC and iView, a swollen army of Glitch lovers eagerly anticipates its return. It’s into this cult furore that Collins dives, as enigmatic new antagonist Phil. “It was slightly intimidating,” Collins admits, when I ask what it was like to join the cast, “because I was such a huge fan of the show.” It’s such a cool concept, he explains. “It was beautifully shot. It was obviously a high calibre show, and so even to be asked to audition was really exciting. Phil — step-father to Beau (the divine Aaron McGrath) — arrives in Yoorana on a mission. From the very beginning there’s something a little spooky about him; spooky even for a show where Risen dead are wandering around a country town. I tell Collins that Phil reminds me a bit of Waruu, in the sense that they’re both a bit shady, and he agrees there’s a definite similarity. “You know, Waruu, at the end of season one [of Cleverman], has kind of ostracised himself and has to build his way back up. Phil, similarly, has no one. He has an undetermined mission and obstacles in his way. Still, I wonder how difficult it is to connect with unlikeable, or villainous characters like Phil and Waruu. Collins explains, a little tongue-in-cheek, “They say — they being the acting gods — that you should never judge a character for what they do. Every character, from Hannibal Lecter down, believes in what they’re doing, that it’s the only course of action. 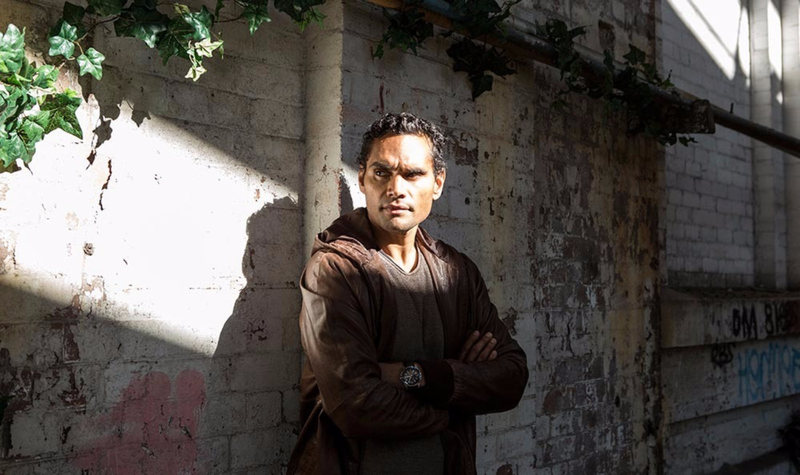 He tells me his time at NIDA was one of the only times he’s noticed his age, when compared with other breaking actors in the industry, many of whom, like McGrath and Cleverman‘s Hunter Page-Lochard, are his on-screen colleagues. “In my mind, I am perpetually 19, so it’s always shocking to me when someone reminds me how old I am. Or when I see myself in the mirror. That production of A Midsummer Night’s Dream, which I saw Collins perform at the Drama Theatre in Sydney last year, isn’t the only physical role Collins has taken on. 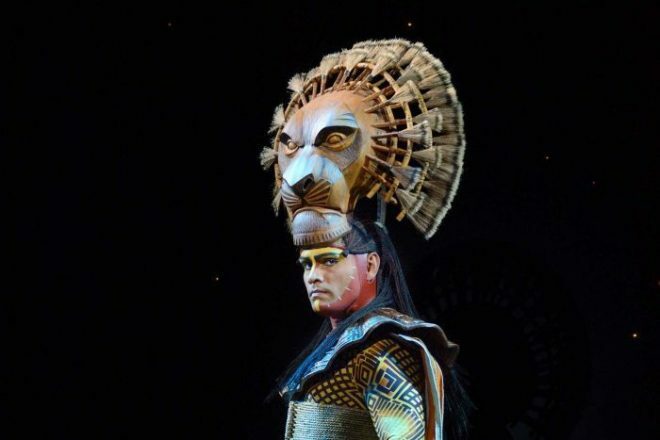 Aside from running all over the stage at the lover Lysander for Sydney Theatre Company, Collins also premiered onstage as the imperious Mufasa in a revival of the Broadway favourite The Lion King. “Oh god, it was really tiring,” he tells me when I ask him about Kip Williams’ madcap Midsummer. But Collins prefers to see his age as an advantage. “I think it’s worked out the best way it could. And, being a bit older, I was a lot more grounded. I mean, it’s an environment where you put yourself out there and the work is judged and critiqued, and being a little older kind of helps me to deal with that. It didn’t affect me that much; I was just really keen on developing. I ask Collins about Cleverman, the totally unique ABC TV project that has taken Australia by storm over the past two years. Though the show continues to buzz, both here and in the US, Collins is remarkably humble about it all. “You never get the sense that going into it that you’re doing something that unique,” he says. “Not to downplay its impact, but I think all that stuff comes afterwards. 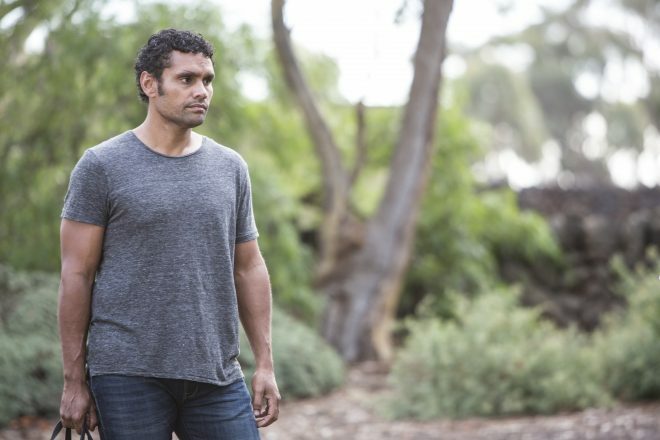 Collins does admit that he “knew first off, when I was introduced to the project, that it was a story that I was instantly attracted to.” The series, which is the world’s first sci-fi show telling Indigenous stories, has just finished screening its second season on the ABC (and Sundance TV in the US). But Collins remembers the feeling of instant attraction back when he first joined the show. “My first introduction to it was an audition between Waruu and Koen,” he tells me. “So it had this really strong brother story, elder brother story. And that’s just something that really appeals to me, I think, because I’m an older brother to two siblings. 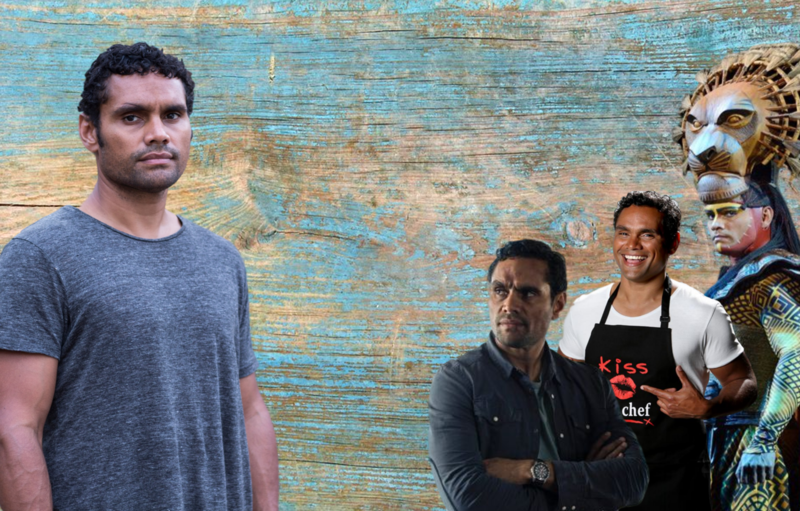 Australia has a stable of highly regarded Indigenous actors, including Deborah Mailman and Uncle Jack Charles, both of whom feature in the Cleverman cast. 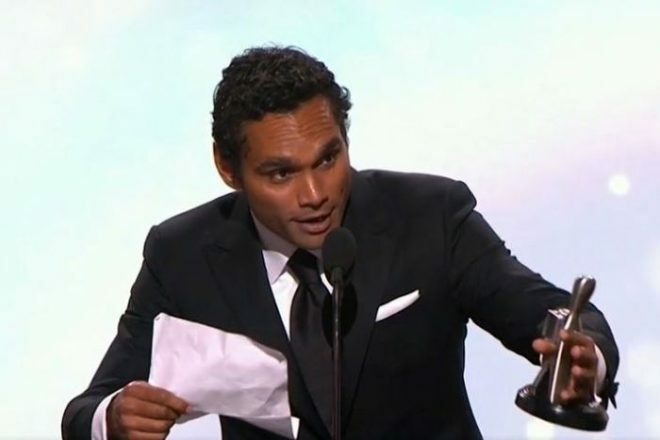 Collins is part of a younger generation of Indigenous performers coming up during a time when Aboriginal stories are increasing in value in the Australian film and television industry. Still, there aren’t many of them gaining mainstream exposure and I wonder if the pressure of responsibility to his community gets to him. “I have to say that sense of responsibility is starting to creep in now,” he tells me. “For the most part I process work as an actor without necessarily thinking about the the fact that I’m an Indigenous actor who has anything broader to say. But I’m two or three years into this career now and I’m at a point now where I’m starting to understand a bit more that there are people in the indigenous community that look up to people in my position. Though there’s a burden being one of few diverse voices in your field, Collins appears to appreciate the responsibility of the power that comes with his increasing profile. “Indigenous issues and Indigenous people generally are close to my heart for obvious reasons,” he says, “and so if I could use that in the future to help out or be a positive role model, then that’s something I’m aware of and keen to do. We turn our attention to The Wrong Girl, Collins’ other big TV project for 2017. Based on Zoe Foster-Blake’s bestselling novel of the same name, The Wrong Girl centres on Lily (Jessica Marais), a producer on a morning breakfast show who is caught in a love triangle between her best mate (Ian Meadows) and her show’s hot celebrity chef, Jack (Collins). The show is a fun romp, where Collins gets to stretch his comedic muscles (and his actual muscles, as Jack often appears shirtless on the show much to many viewers’ delight) — which Rob tells me feels entirely different to his work on the set of Glitch and Cleverman. But Collins is pretty positive about the makeshift family he’s made of the cast and crew in his various on-set roles. “I know it sounds cliché because everyone thinks to say it, but I mean it earnestly. I’ve made a lot of friends and I keep up with them, and I’ve worked with a lot of veterans of stage and screen, and everyone without exception has been really willing to share their knowledge and has kind of taken me under their wing. I ask him what he’d like to see done differently on Australian television, if he could. It’s a tough question, and he takes a while to answer. “I think it feels like we’re heading towards this direction,” he says eventually, “but I’d like to see more uniquely Australian stories being told in a really bold way. Glitch season two premieres 8.30pm tonight on ABC.